Toshiba C50D-A-146 15.6" Best Value Laptop AMD E1-2100 Dual Core 4 GB RAM 500 GB. Its fast speed, extensive connectivity, numeric key pad and 15.6 display makes it best for every day computing and is a good substitute for desktop. It has U shaped design with textured matt black finishing. This finishing makes it look more elegant and stylish. Although it is great in performance with latest technology but it weighs only 2.4 kg. Alphanumeric keyboard is designed for the ease and convenience of the users. Toshiba Satellite C50 gives you a 15.6 display for vivid pictures and good quality video. LED backlight also makes the pictures bright. Not only display but its sound quality is also very good with DTS sound system. 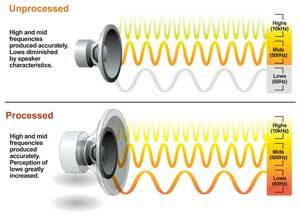 With DTS sound we can experience deeper bass and it also boosts the volume. 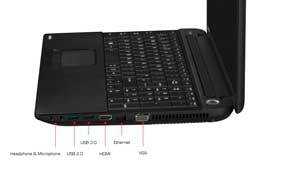 It has AMD dual core processor, spacious hard drive and fast RAM which can be used in storing movies, pictures, etc. 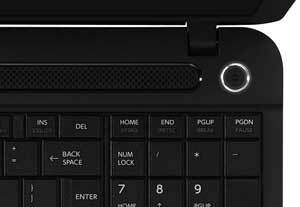 Toshiba satellite series comes with various connectivity options. 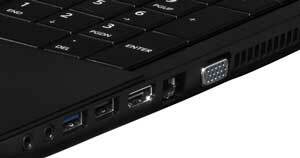 It has USB 2.0/3.0 ports, SD card reader and HDMI slot to connect your laptop to the HDTV. This lets you stream and watch HD media files. It helps you in making your media portable so that you can take it everywhere you go. Files which took hours for transferring can be transferred in minutes. Unlike many other laptops this laptop has integrated HD webcam. Now you can take good quality pictures with its high resolution and share them with your friends without going anywhere. Video conferencing also becomes better with the help of this HD webcam. 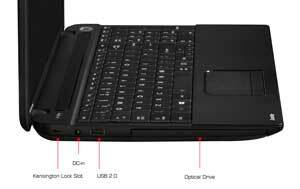 Its touchpad is not like other conventional touchpads. It can sense the position of more than one finger and works according to the movement of fingers. Toshiba Satellite C50 comes with some preinstalled softwares, which are trial version of Microsoft Office 365, Skype and McAfee internet security to protect your laptop from viruses.